Home INDUSTRY Cleaned, steamed and delivered! Himanshu Kumar, Business Head, Bird Apps and Dhruv Madhok, Marketing Head, Bird Apps, provide a detailed insight on Launderette and Bird Group’s foray into mobile applications. Please explain the concept of Launderette. Launderette is a tech-enabled, on-demand laundry service. Through this, we work with local five-star hotel partners to offer high-end garment care services, delivered to a customer’s doorstep within one of the shortest turnaround periods in the industry. The concept of Launderette came from our intent to enter the consumer internet space and offer services that could efficiently take away the stress of day-to-day chores in urban life, ensuring more time, freedom and of course, peace of mind. Launderette happened to be the first one launched among the many others that are lined up for the future. What is your expansion plan? What cities are you targeting and why? We will soon be collaborating with various hotels and offering the service in multiple cities. In fact, we are planning to expand to Mumbai, Bengaluru and Pune very soon, as metros will remain our main focus keeping in mind the rising middle-class income levels and an increased social consciousness. We are currently in talks with a renowned chain of hotels which will give us pan India presence once the terms are finalised. We are also extensively focusing on digital marketing, leveraging the precision of technology and location-driven marketing with a strong support by traditional offline marketing channels to promote our App and services. How are hotels instrumental for you? 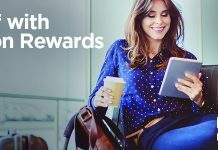 Hotels are intrinsic to our business model. When we started off we found out that hotels in general use only 30 per cent of their assets for laundry requests at the hotel. Therefore, we decided to capitalise these underutilised resources to cater to customer demands. We are the only platform that is exclusively using hotels for offering laundry services, unlike our competitors who have invested in their own setup. We have an edge as hotels possess state-of-the-art machinery, trained manpower, imported eco-friendly detergents, and packaging in addition to clean and hygienic facilities. Thus, customers are provided with five-star care at minimal price. 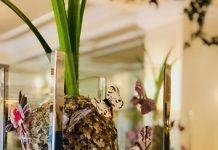 We work on a commission basis and gain about 20-30 per cent commission on each order, with the majority of the revenue going to our hotel partners. Launderette can be used by anyone who currently uses the services of traditional drycleaners, as our prices do not restrict our services to only a segment of the market. At present, Launderette is available in South and Central Delhi, as well as Gurugram. The orders are currently being serviced at the Roseate House and as a result, we can only cater to a limited catchment area. In the coming weeks, we will be partnering with Westin Hotels and will begin servicing other areas in the NCR. 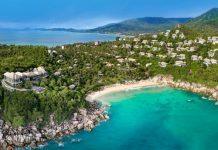 We are also in talks with several large hotel chains that have a nationwide presence, in order to expand operations to other cities. A Launderette client is one who appreciates high quality garment care, and desires efficient collection and delivery service by trusted experts. What makes you stand out among the many players in this market space? We are the only platform that offers laundry services to consumers using the staff, machinery, as well as cleaning tools and techniques of five-star hotels. 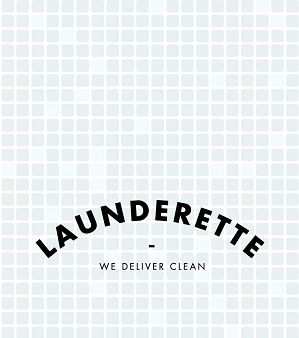 At Launderette, we partner with five-star hotels with the best laundry facilities, equipped with imported machinery, safe and eco-friendly detergents, and trained staff. We help them monetise their excess laundry capacity while providing an exceptional laundry experience to customers. Customers can access these exclusive five-star services at prices that are on a par with the prices charged by traditional laundry and dry cleaning service providers. What also sets us apart is the flexibility and transparency offered to customers with the ability to track and modify their orders with a simple tap on their smartphones. Additionally, we offer the ease of pick-up and delivery services to locations of our customer’s choice. Unlike other players in the market, Launderette is setting a new benchmark in garment care with advanced technology that is environmentally friendly. Additionally, the mobile App is designed to help customers place orders, make payments, as well as track pick-up and deliveries. 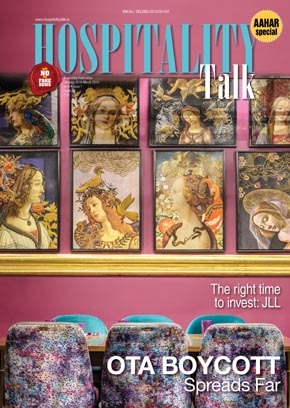 Hospitality Talk is a bi-monthly publication with an outreach to all the national & international ‘Hotels restaurant and Hospitality trade’, which covers all the trade aspects such as industry analysis, trends, news, appointments, interviews, happenings, innovations and a lot of other information imperative for the industry.